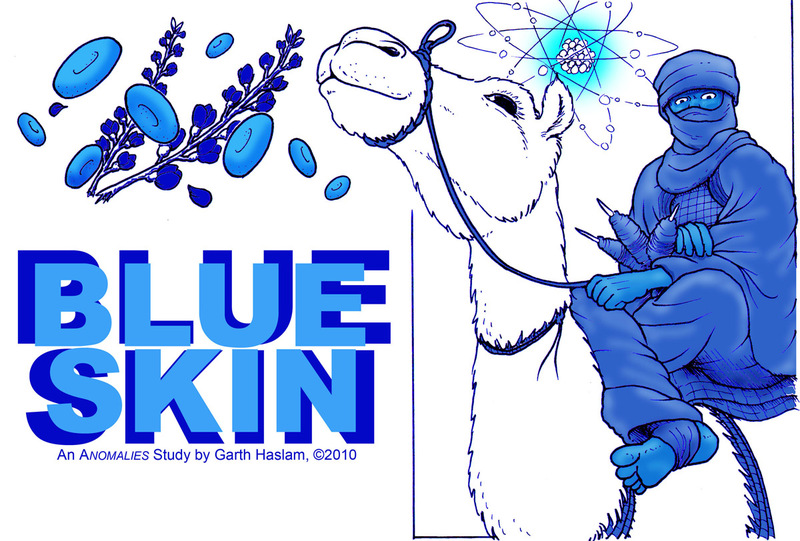 This is an illustration by Garth Haslam for the Blue Skin article, showcasing a Tuareg male on his camel (who are rumored to have blue skin), and symbology representing the three major causes of blue skin: Indigo plant dye, abnormal blood cells, and silver. Created 5/2010, used with permission. Please contact Garth at his Thwack! Pow! Productions website to request reuse permission (Link Here).